Under Construction. UNDER CONSTRUCTION! 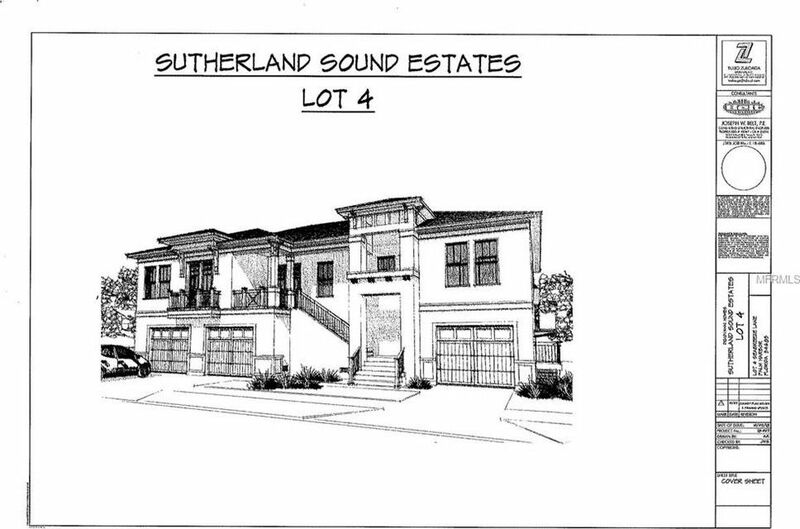 SUTHERLAND SOUND ESTATES !! WHERE YOU'LL FIND SUBURBAN WATERFRONT PARADISE AND PEACEFUL FLORIDA LIVING WITHIN WALKING DISTANCE TO H.S. POP STANSEL PARK AND OLD DOWNTOWN PALM HARBOR!!! ENJOY YOUR OWN DEEDED BOAT SLIP IN THIS COMMUNITY! THIS CUSTOM BUILT AND DESIGNED GREAT ROOM DESIGN HAS 4 BEDROOMS, 3 BATHS, 8 CAR GARAGE AND VIEWS OF THE INTRACOASTAL WATERWAY FROM YOUR KING SIZED COVERED BALCONY!! BUILDER LEFT ROOM TO ADD YOUR OWN PERSONAL ELEVATOR IN THIS HOME...WELL PLANNED DESIGN!! VOLUME CEILINGS, OVERSIZED CROWN MOLDINGS, FABULOUS KITCHEN WITH GORGEOUS CABINETRY, QUARTZ AND GRANITE COUNTERS, TOP OF LINE APPLIANCES, DESIGNER TILES, UPGRADED PLUMBING FIXTURES AND MORE!! POSH MASTER BATH WITH FREE STANDING TUB AND GORGEOUS SHOWER!! STILL TIME FOR BUYER TO CHOOSE FLOORING!! FLOOR PLAN AND SPECS ARE AVAILABLE!! FABULOUS PALM HARBOR SCHOOLS INCLUDING PALM HARBOR UNIVERSITY HIGH!! A RARE OPPORTUNITY FOR WATERFRONT LIVING AND NEW CONSTRUCTION!! Directions: ALT. 19 TO WEST ON FLORIDA AVE., TO RIGHT ON COLUMBIA AND LEFT ON SEABREEZE LANE. HOME UNDER CONSTRUCTION ON THE LEFT.